New Delhi: Ashoka University today inked a Memorandum of Understanding (MoU) with premier international business school HEC Paris in the presence of H.E. Mr. Alexandre Ziegler, Ambassador of France to India. 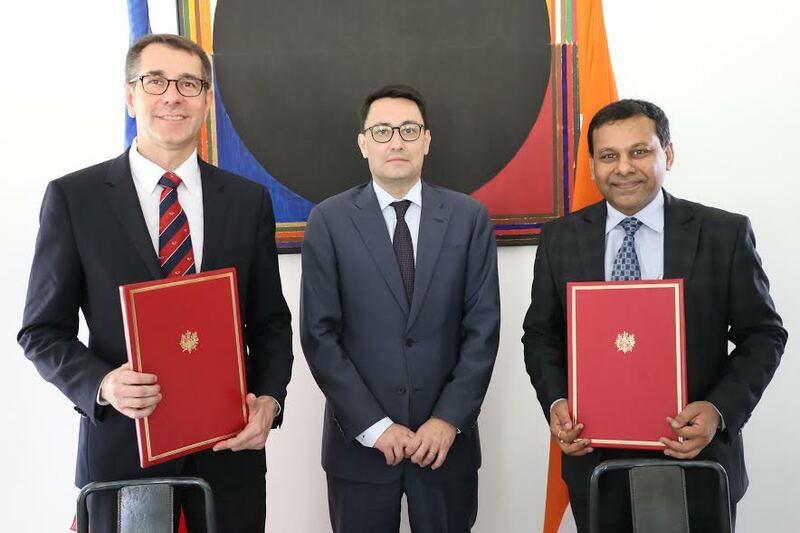 The collaboration brings together one of the world’s leading European Business Institutes and India’s pioneering Liberal Arts university to promote cooperation on academic and research development between the two. As a part of the MoU, the two institutions will look at designing innovative academic programs and course curricula at Ashoka. The collaboration will explore opportunities such as allowing faculty and students to spend time with the partner university and create joint research programmes.